Operating out of Vienna, Christina Nemec has many strings to her bow at presents, including membership in recent Blackest Ever Black signings Shampoo Boy and roots in obscure Austrian industrial band Bray. Such associations all make perfect sense when listening to her new album as Chra, which has emerged in Editions Mego. 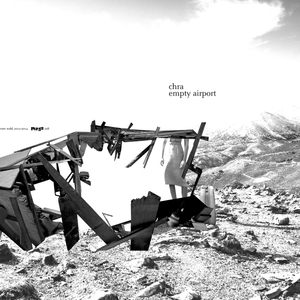 Empty Airports is a fittingly desolate place where submerged rhythmic pulses and distant static flirt with occasional whispers of melody but largely echo out into a vast and very palpable nothingness. It's no mean feat to conjure up such spaces with sound, and Nemec does a wonderful job of it on this release.